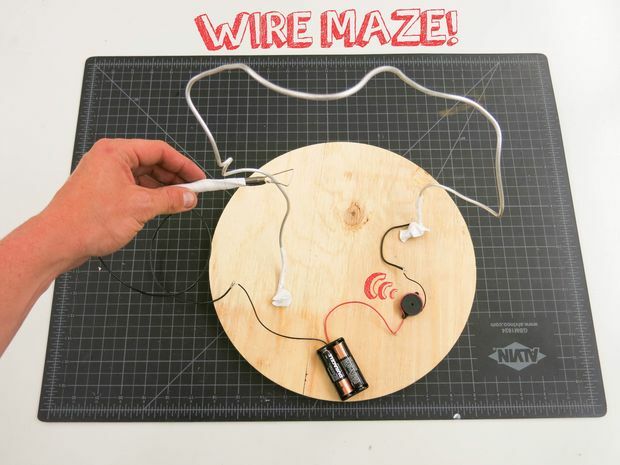 Wire Maze Project! #makereducation « Adafruit Industries – Makers, hackers, artists, designers and engineers! Another wonderful, educational project tutorial from The Oakland Toy Lab on instructables! If you loved the game “Operation” as a kid, and want to continue on your path of supreme hand-eye coordination, give this buzzing electronics project a try. What’s great is you can change the path every time, anywhere from novice post-bac medical school applicant to the manual dexterity of Dr. Octopus. The game is to move the wand from side of the maze to the other without touching the metal wire. If you do, the buzzer goes off, and alas, start again.